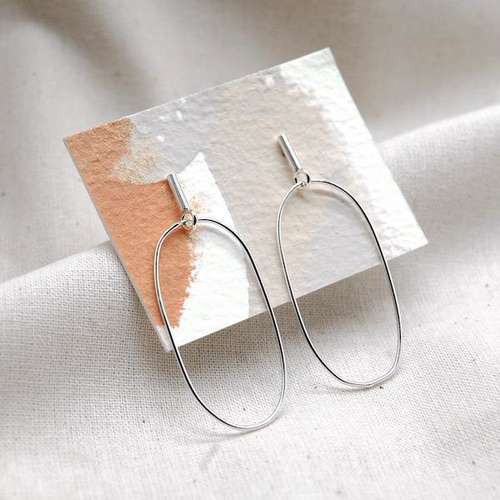 Unique handmade silver hoop earrings made from recycled silver by Birmingham-based jewellery maker, A Typical Thing. 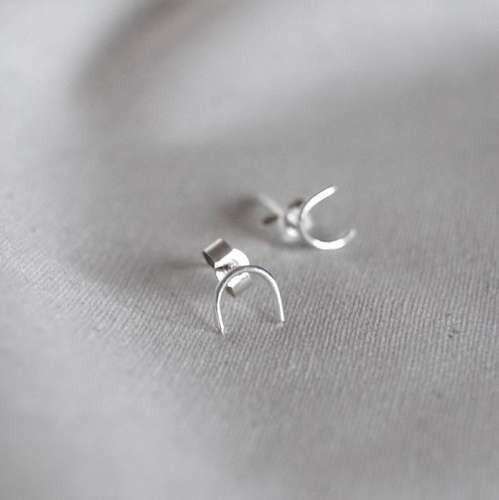 These minimal ethical silver hoop earrings are delivered in biodegradable gift wrapping, making these earrings a lovely gift idea for friend or loved one. Materials - Recycled sterling silver. Product Packaging - Kraft paper pip boxes and biodegradable tissue paper. 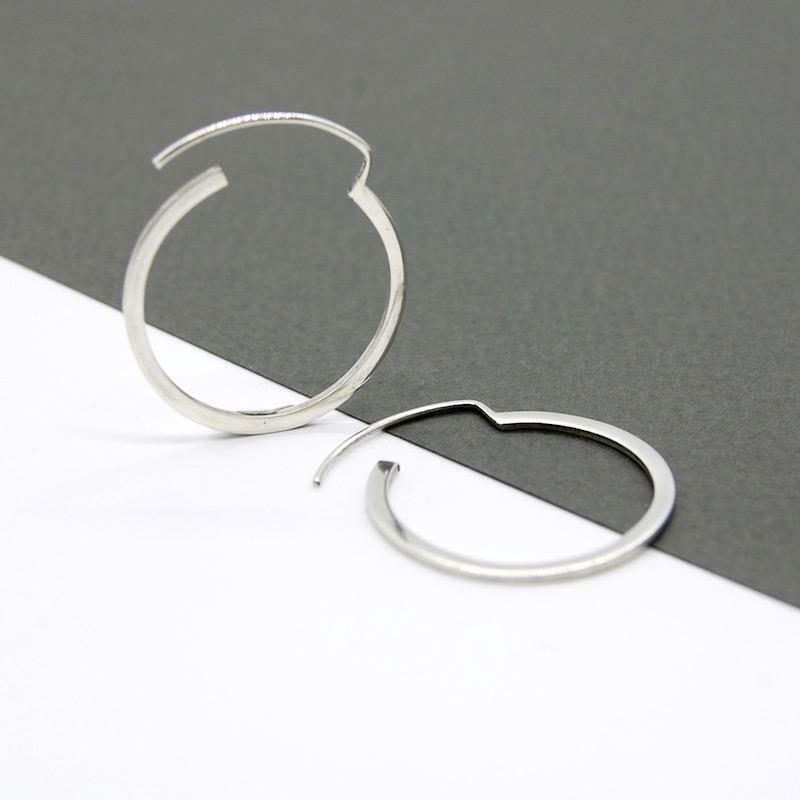 A Typical Thing is run by designer and maker, Josefina, who makes all of her jewellery by hand in her studio workshop in Birmingham. 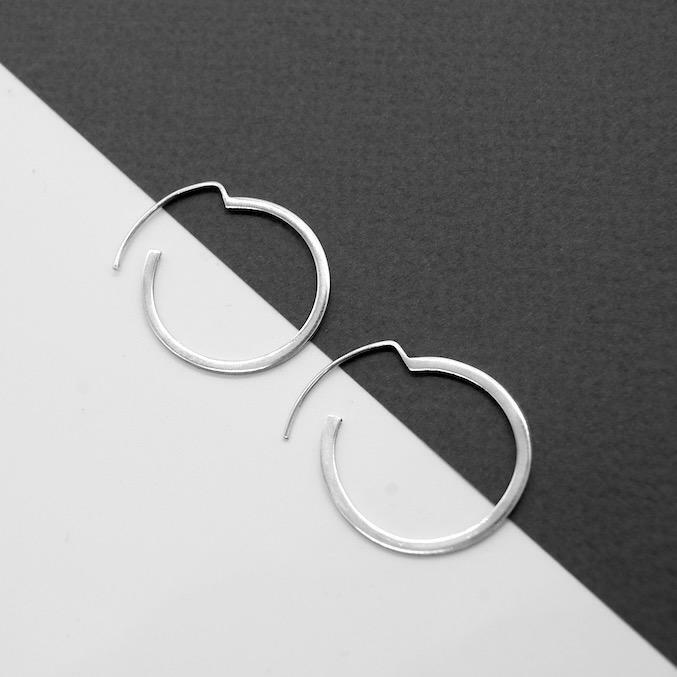 Inspired by the abstraction of shapes around her, Josefina wanted to combine her passion of jewellery making and sustainable values to create statement jewellery with minimal designs. 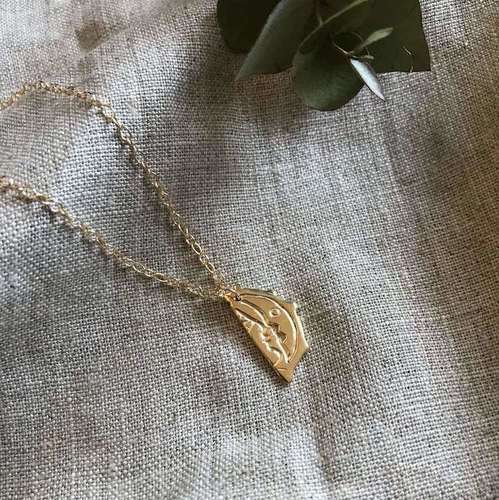 The environment is at the heart of A Typical Thing and Josefina uses recycled materials and biodegradable packaging for her jewellery. 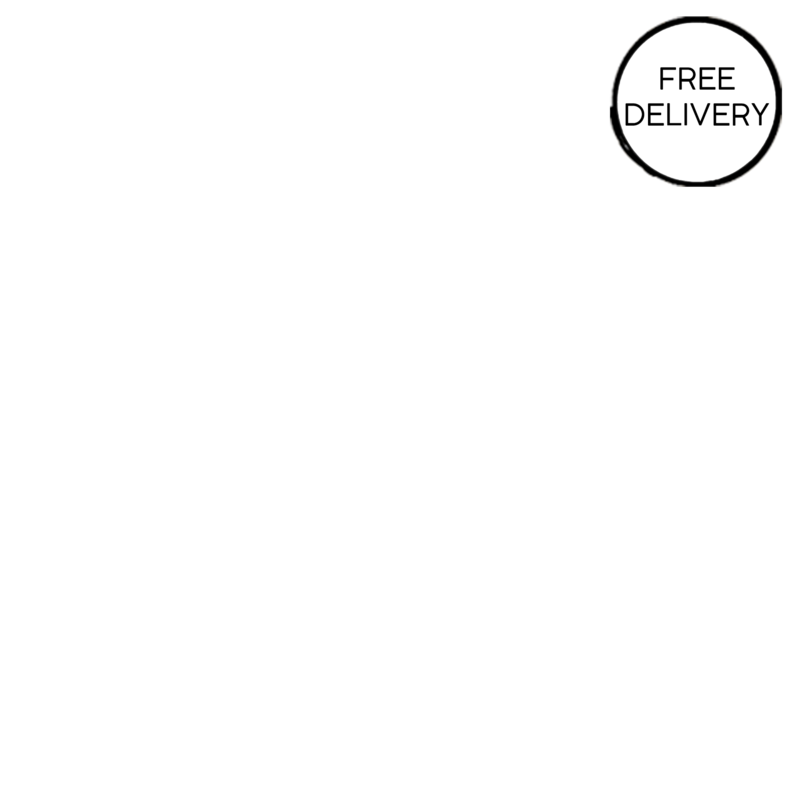 Delivery Packaging - Kraft envelope. 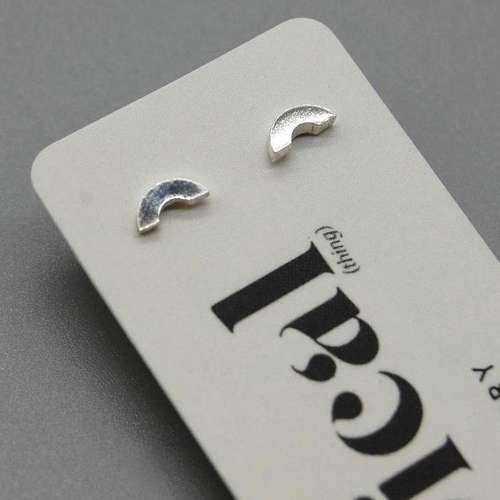 Due to hygiene reasons these earrings cannot be returned, however if you have any issues please contact us.